Would you like to keep the authentic and timeless elegance of your home’s windows without the draughts, the rattling and the sticking? 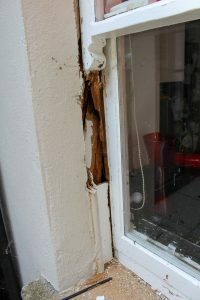 Is there a rotten section of the timber window frame and you’re not sure what to do about it? Love your sash windows but want to be more comfortable in your more efficient home…? Live in a listed building and not sure what you can do to improve heat retention yet keep the historic profile? Sash windows were originally designed in an era of classical beauty but that doesn’t mean they don’t need a contemporary functionality in this century. A common misconception is that the instant solution is to double glaze the windows. However, draught proofing the sashes will be more effective. Also, if your property is historic and listed then you must be aware of council regulations. In every case, it is necessary to have a full survey. The condition of the windows must be assessed, and measurements taken to check what solutions are available to you. Stay with timber or replace with PVC? 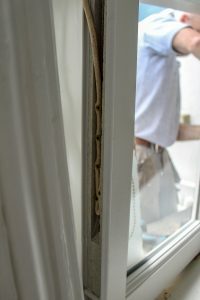 Can you replace a rotten section of the wood work in the window frame? Yes of course. 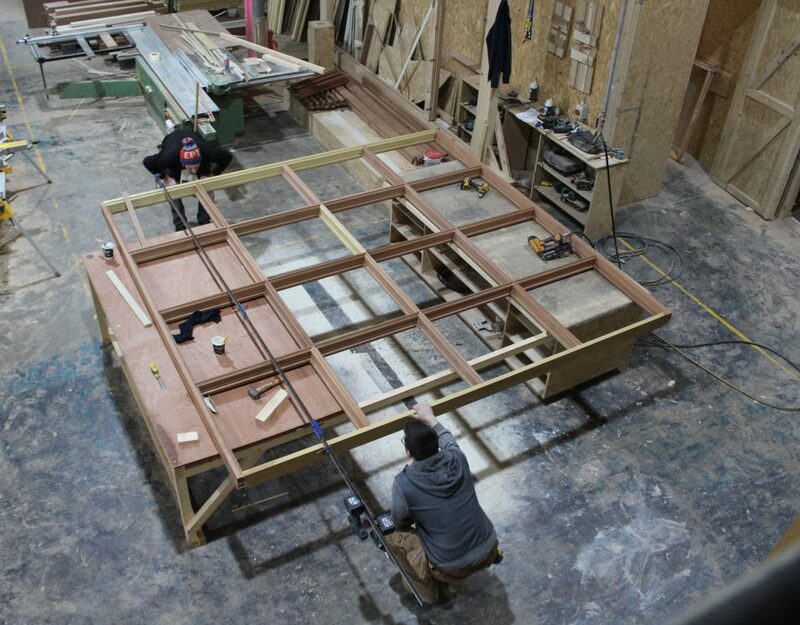 Timber window frames can be fully refurbished on site. Following the survey we know the size and density of the timber required so that the damaged sections will be cut out and replaced with minimal disturbance to your home. Our fitter will take out your sashes so that the frame can be accessed and repaired. You should consider that it will need to be fully painted afterwards, but your window frame will be as good as new. How do you replace a broken glass pane? If this is in isolation, we will remove your sash to our factory and replace the glazing. While the sashes are out of the window, a timber protection board will block the opening which provides security for your home in the interim. The new glazing will be re-puttied and sealed into the sash. What is draught proofing and how does it work? How do you draught proof your existing sash windows yet keep their originality? 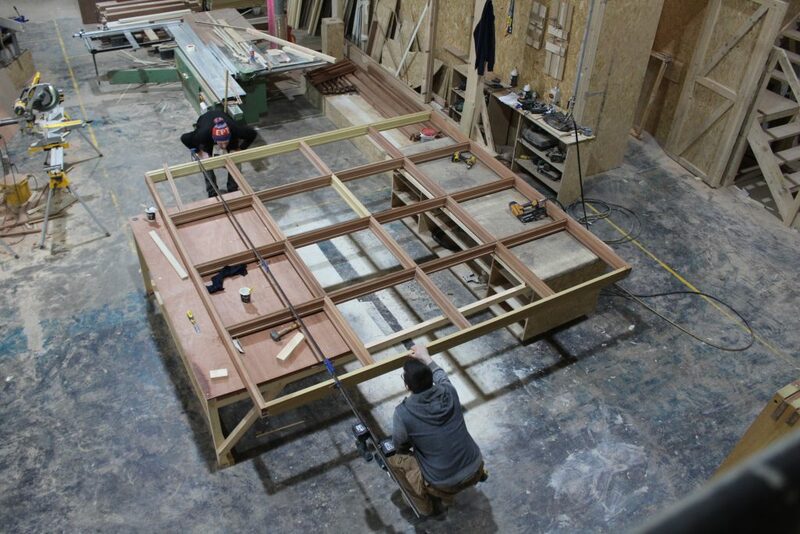 We will double draught seal the window – the windows will slide easily and there will no longer be any rattles. In terms of energy efficiency, the glass is responsible for 15% of heat loss whereas 85% is lost through draughts. The areas most vulnerable are the meeting rails and the perimeter of the sash. At Timeless Sash Windows we have a specialised draught seal system which incorporates a number of different seals in different positions. Our windows have been independently tested and have achieved Class 4 air leakage rating, which is the highest class available. This is due to our specialist system. Can you double glaze your sash windows? This will depend on several factors and you will be advised by our experts. Firstly you will need to take into account historic conservation (see No.8 below). 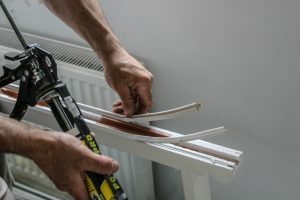 Then it will depend on the thickness of the section in the sash and glazing bar – whether it can hold the thicker glazing. 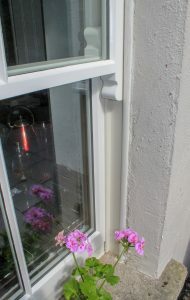 Aesthetics are also important here – to avail of the ultimate in double glazing whilst keeping the fine lines of a Georgian window, we have a revolutionary Slimglaze option that will look like single glazing but will be double glazing. Can you replace cords to improve the smoothness of the window operation? When you choose to refurbish a window, it is standard practise to provide new pulleys and new cords. The weights will be re-balanced. Where double glazing has been retro-fitted, new weights will be fitted to balance the sashes. How do you repair shutters and other window surrounds. If you have shutters, architraves or other window decorations, depending on what work is being carried out these will either be removed to be refitted or refurbished in situ. This will be advised by our Timeless survey experts. For historic listed buildings, approved joineries are listed with the councils. It is a highly specialised craft to repair old windows. Timeless Sash Windows have an experienced team working in the conservation section of the joinery. In some cases it is necessary to get planning permission if you would like to change the single glazing for double glazing. We use paint that is specially designed for external timber windows. We can colour match any range Farrow & Ball / Dulux / or any of the RALs. The window will come painted inside and out. We’ll come and take the sliding sections out. We will replace them with a protection board that is 18mm thick to protect the premises. The sashes will be out for on average 2-3 weeks. During this time we will come and strip loosenend defective paint from the frames, carry out all splicing of the rotten timber, install new pulleys and fit new weights if necessary. Then the window frame is completely finished painted. When the sashes have been refurbished in our factory we will return for 2-3 days work to reinstall them in the frames. We recommend 2 stages – do one room at a time so that there is minimum disturbance to the home. We can try and work around your dates if necessary. With the best will in the world, when the refurbished sashes are replaced in the frames they will stick a little. How do we fix that? 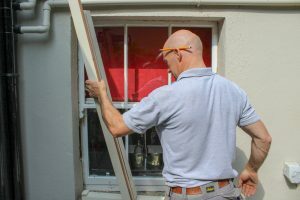 After about 2 weeks settling time, one of our team will arrange to visit your property to get he windows sliding correctly and allow for smooth functioning for many years to come. If you have non-historic windows, we also have the option of making brand new sashes in our factory and replacing those in your home in a single day. During that day we would also refurbish the frames as necessary. 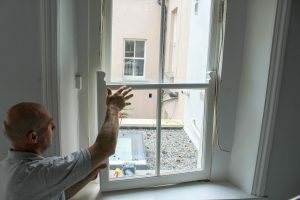 This option, if it is available to you, provides the least amount of disturbance in your home as the windows are replaced one by one by our fitters. 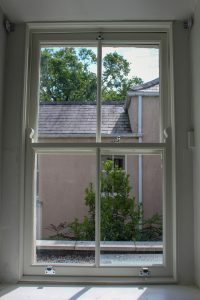 Words and pictures by Jennifer Ritchie, Timeless Sash Windows. 26th September 2018.